A multi-talented star and an elite pro skateboarder, Rob Dyrdek’s success story began at a remarkably young age. Yet another proof that schooling doesn’t always correlate with success, Rob has established himself not just as a phenomenal sportsman but also as a successful entrepreneur. Besides perfecting his skill as a natural talent on the board, Rob who is always searching for the next frontier in skateboarding has an entrepreneurial spirit that makes him always excited about new ventures. Be inspired to success with interesting facts about the pro skateboarder, entrepreneur, reality TV star, and producer. An Ohio native, Rob Dyrdek was born on June 28, 1974. He was born and raised in Kettering and attended Fairmont High School. Dyrdek’s interest in skateboarding was aroused at age 11 when he was gifted his first skateboard by pro-skateboarder Neil Blender. From then on, Rob grew up being a fanatical skateboarder and by age 12, he landed a sponsorship deal with a company that sponsored prominent pro skateboarders, this officially marked the beginning of his pro career in skateboarding. But a few years later, the young and adventurous sportsman quit from the deal and started his own skateboarding company Alien Workshop. In search of bigger platforms to broaden his skateboarding horizons and career, Dyrdek quit high school at age 16 and relocated to Southern California. Rob Dyrdek started off in California by riding for a company owned by a renowned skateboarder which is today known as DC shoes. Given that he was raised in an environment that encouraged creativity, Dyrdek began exploring entrepreneurship a few years into his career. He has since ventured into very many promising businesses. Rob’s early entrepreneurial spirit has earned him mega bucks from numerous ventures ranging from skate shops to clothing/fragrance lines, to a record label, professional skateboarding league as well as an investing and branding agency. Besides being a pro skateboarder with a plethora of sponsorships and partnerships, some of Dyrdek’s business pursuits include Alien Workshop, Monster energy, and Silver Trucks, Dyrdek Machine, Wild Grinders, his DC Shoe sponsorship deal, as well as a media empire and many others. Apparently a businessman with the Midas touch, Rob successfully forayed into entertainment which has also brought him more fame. From 2006 to 2008, he starred in the MTV reality TV series Rob & Big, Rob Dyrdek’s Fantasy Factory (2009), Ridiculousness (2011) and Amazingness (2017). He has also featured in music videos, video games and has made a movie. Rob Dyrdek is the son of Patty and Gene Dyrdek. He has a sister, Denise Dyrdek. The skateboard aficionado loves to maintain a close relationship with his family and also spends a lot of time with them. Rob has featured some of his family members (including his cousins and sister) in his reality shows. Rob is happily married to the beautiful model Bryiana Noelle Flores. Convinced that he would want to spend the rest of his life with Bryiana after their first date in 2013, Rob decided to take the relationship to the next level and popped the big question to his now wife on April 26, 2015, in Disneyland. A few months later on September 19, 2015, the couple officially wedded in a beautiful ceremony that was attended by friends and family. 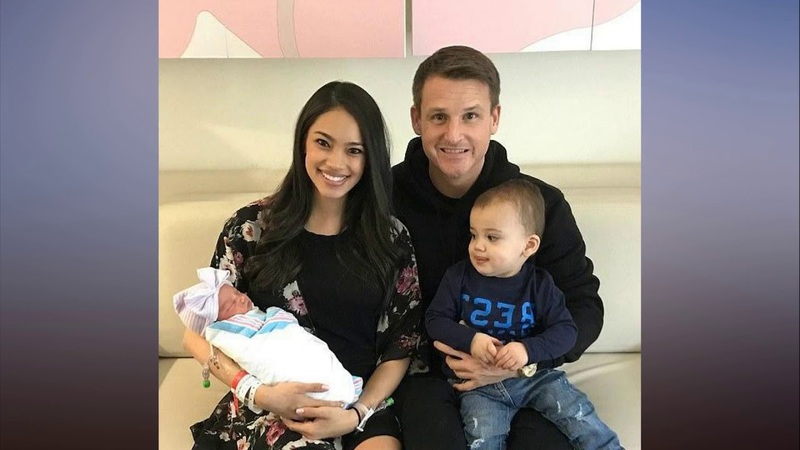 Rob and Bryiana have since expanded their family as they welcomed their first child, a son named Kodah Dash Dyrdek in 2016. The following year, they welcomed a new addition to their family, a daughter named Nala Ryan Dyrdek. Dyrdek and his family (including a dog, rabbit and a cat) currently live in Los Angeles. With their fairytale love story, Rob and Bryiana are so unconditionally in love with each other and their fans can only hope it keeps getting better over the years. 1. Rob stands at an average height of 5 feet 7 inches and weighs 61 kg. 2. From his vast business interests, the Ridiculousness star has amassed a huge net worth of about $50 million. 3. The pro-skateboarder is a dedicated philanthropist who spends his fortune on humanitarian causes. In 2003, he established the Rob Dyrdek Foundation which is aimed at securing the future of skateboarding by providing proper skate parks/skateboarding facilities for kids to practice around the country.